Are you a history buff? Are you planning a trip to Niagara Falls? Then you won’t want to miss some of the great historical attractions nearby. Whether you’re Canadian yourself or visiting from abroad, you’ll love learning about the fascinating history of the Niagara Falls region. When you book a hotel in Niagara Falls, you’ll be conveniently located close to attractions like the Laura Secord Homestead, Old Fort Erie and Fort George. Discover what daily life was like for local residents during the early 19th century, and for soldiers during the War of 1812. Though she received little recognition during her own lifetime, Laura Secord was a brave Canadian heroine who, after her home was invaded by American soldiers during the War of 1812, journeyed 20 miles afoot to warn the British of an impending surprise attack in June 1813. Her bravery gave British troops the warning they needed to win the Battle of Beaver Dams and thwart the American invasion of the Niagara Peninsula. Secord achieved national fame only after her death. Thanks to the generosity of the Laura Secord Candy Company, her home has been restored and preserved as a museum and monument to her life. Learn about the fascinating life of this Canadian heroine, and experience the realities of daily living in the early 19th century at the Laura Secord Homestead. 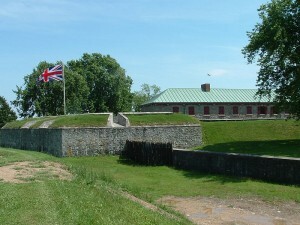 Founded in the aftermath of the French and Indian War, Fort Erie was the site of Canada’s bloodiest battle. The Siege of Fort Erie, which took place from August 3 to September 21, 1814, saw more than 3,000 people killed and wounded. 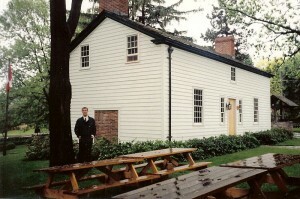 Old Fort Erie served as a British fort during the American Revolution, and was a critical border crossing point for travelers on the Underground Railroad from 1793 to 1865. The Irish Republican Army even occupied Fort Erie during their largest-ever raid in 1866. When a locale has seen as much bloodshed and death as Old Fort Erie has, you’d expect it to have some ghostly residents. Take a ghost tour of Old Fort Erie, led by a guide in period costume. The tours take about 30 to 45 minutes to complete. Built when the 1783 Treaty of Paris brought an end to the American Revolution, Fort George helped the British maintain control over the Niagara River after the peace terms forced them to give Fort Niagara to the fledgling United States. It served as an important command center during the War of 1812, though it was never fully restored after suffering heavy artillery damage at the hands of the Americans. Today, the fort is open to visitors as a living history museum, where staff maintains the facility as it would have been during the early 1800s. Here you can see actors demonstrate the firing drills and infantry tactics used during the War of 1812. The 41st Fife and Drum Corps also demonstrates the use of the fife and drums. Each year, scouts from both sides of the border meet in this location to reenact the Battle of Fort George, which took place in May 1813. History buffs won’t be disappointed at the cultural attractions available to visitors of the Niagara Falls area. Niagara Falls and nearby villages were strategically crucial for both sides during the War of 1812. Attractions like Old Fort Erie, Fort George and the Laura Secord Homestead can help you get a feel for what it must have been like to live through this harrowing time in history.